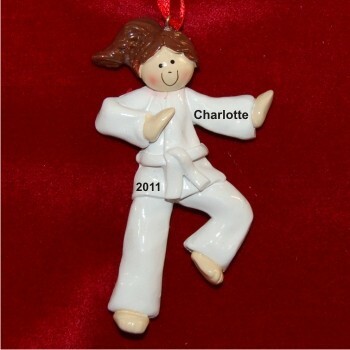 Whether she's active in karate, Tae Kwando or other branch of the martial arts, she'll get a big roundhouse kick out of the brunette girl karate personalized Christmas ornament with its stylish, cute design. These martial arts ornaments personalized by our lettering artists arrive with her name and the year in an attractive font - not the computer font used in the photo for clarity. She'll enjoy displaying the girl brown hair martial arts ornament on the tree or another favorite location using the cord we include. 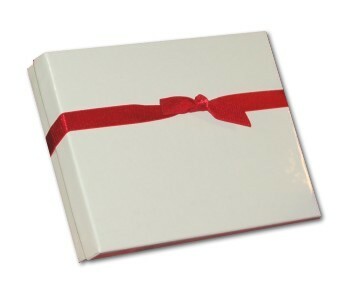 Encourage your gal to keep working hard toward her next belt with a karate ornament personalized just for her!